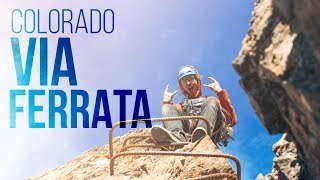 Via Ferrata, translated as “iron way” in Italian, is a mountaineering adventure that has been a method of transportation in Europe for centuries. Iron rungs, rails, bridges, ladders, and cables will help you navigate your way along the cliffside above Idaho Springs on AVA’s Via Ferrata course. 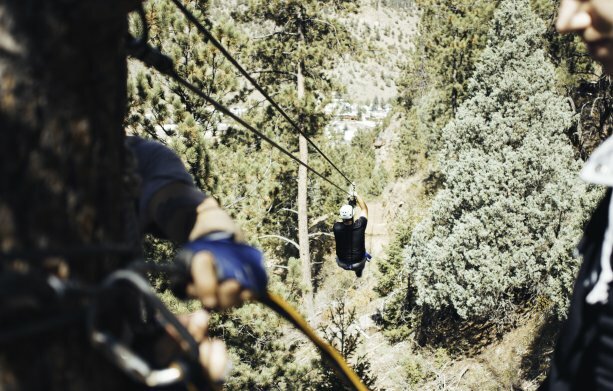 You’ll find yourself traversing, rappelling down a 70-foot rock face, trying out the thrilling 50-foot free fall, then ziplining above Chicago Creek back down to our outpost. The advanced internal locking system on the two carabiners AVA uses for gear will never leave you disconnected from the cable course.